September 9, 2014 EnlaceLeave a Comment on Did the Private Prison Lobby Kill Immigration Reform? 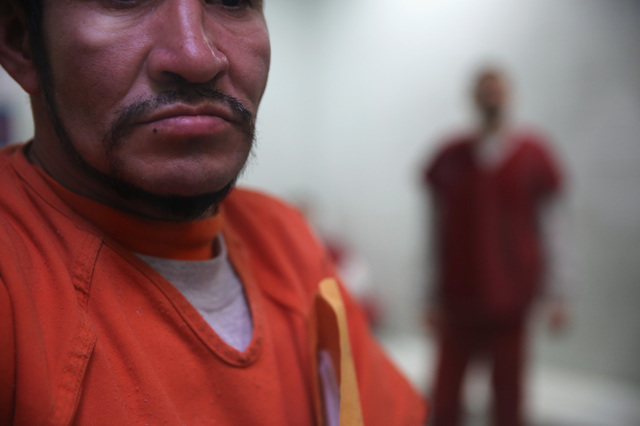 Did the Private Prison Lobby Kill Immigration Reform? President Obama is poised to make a sweeping decision on immigration soon. Although details of another executive action on immigration are still unclear, it’s likely to benefit millions of people. But not all of the estimated 11 million undocumented immigrants in the U.S. will be protected from deportation. The president has made clear that because Congress hasn’t moved forward on comprehensive immigration reform (CIR), he must. The Senate passed a CIR bill last year. Despite excitement, however, it never made it through the House—which just recently passed two anti-immigration bills, which will also not move forward. Theories abound as to why CIR never made it through the Senate. Among those is the idea that private prison lobbyists killed the reform. I talked to Peter Cervantes-Gautschi, the executive director of Enlace, which is the convening organization of the Prison Divestment Campaign. He recently published an article in AlterNet outlining how the private prison lobby, handled by the GEO Group and the Corrections Corporation of America (CCA), played a big hand in CIR. There’s an immigrant detention bed quota. How does it work? It was passed by Congress and requires more than 90 percent occupancy in the beds of the private prisons contacted by the federal government for immigrants. Last year, there was an attempt to remove that from the contracts but Republicans in the House killed it. So even if they don’t fill one of one of these private prisons with immigrants, the federal government still has to pay. GEO and CCA are heavily into lobbying. How did they handle their interests with the comprehensive immigration reform bill last year? CCA and GEO control close to 80 percent of the market of private prison beds in the country, and immigrants who are now being put into the federal system for immigration offenses are going to the private prisons. These two companies got involved in lobbying anytime there was significant legislation involving immigration. They’ve been very much involved in the appropriations of money for incarceration and transportation of immigrants in the system. Last year, CCA lobbied very intensely and gave money to the leadership of both houses of Congress; the GEO Group put their emphasis on the tea party-friendly Republicans in both the Senate and the House. And the combination of those two points of pressure killed immigration reform. Even if it hadn’t, it assured that at least 4.5 million immigrants would have been subject to being incarcerated in prisons if the Senate version had passed. Senator Chuck Schumer (D-New York) and Senator Marco Rubio (R-Florida) are closely tied to these private prisons, correct? The GEO Group has given Rubio money directly and major investors in GEO are major contributors to him. He also owns stock in some of those. Schumer has a relationship with Lazard Asset Management, which is a major investor in private prisons that gave Schumer a great deal of money. Right after the version [of CIR] that he largely authored passed the Senate, Lazard bought a bunch of GEO stock. GEO told its investors that CIR wouldn’t threaten its projected growth. If that were the case, why would it kill CIR? For one thing, the GEO Group was beginning to get bad publicity. Students and faculty at Florida Atlantic University protested the GEO Group, which was essentially trying to buy good publicity by giving the school an athletic stadium. There was a huge outcry and GEO wound up withdrawing its contribution and the university didn’t put GEO’s name on the stadium. That bad publicity generated negative attention to GEO and they were in a worsening position in terms of their competition with CCA for government contracts. You had a potential market of about 4.5 million immigrants, which was largely going to be cornered by CCA. Killing immigration reform added another 7.5 million immigrants to the prisoner market. You ‘ve laid out two tactical approaches toward ending this practice of private prison lobbying. Can you explain them? Private prisons have one customer: the government. If our government stops giving them contacts, they wouldn’t have money to operate and wouldn’t put our people away. The other things is that both GEO and CCA owned by more than 80 percent by major investors, but they get their money from public institutions like cities, counties, pension funds, churches and so forth. Just like in the anti-apartheid movement and the effort to divest public institution money, putting pressure on those institutions to pull their money out [of private prisons] would lower the economic strength and the lobbying power of those two corporations. Our money is being used in two ways, to both finance the private prison companies and their operations, and to pay them to incarcerate our people. We have the potential to cut off both of those sources of revenue. CIR certainly won’t happen this year, as Obama prepares to make en executive decision independent of Congress. What can be done to stop filing those detention beds now? What can be done is to cut off the money that pays for them. The GEO Group is getting additional money to incarcerate unaccompanied minors and single moms who are refugees from Central America. There is no excuse for allocating money to incarcerate these people. They are refugees and they need to be cared for. There is no shortage of people and institutions that would love to care for them and not treat them as prisoners. The Senate appropriations committee or the House appropriations committee, either one could cut off the money to those contracts that are paid to CCA or GEO to incarcerate immigrants. That wouldn’t create new rights for people, but it would stop the government from taking our people away and locking them up. Next Building Black and Brown Unity!